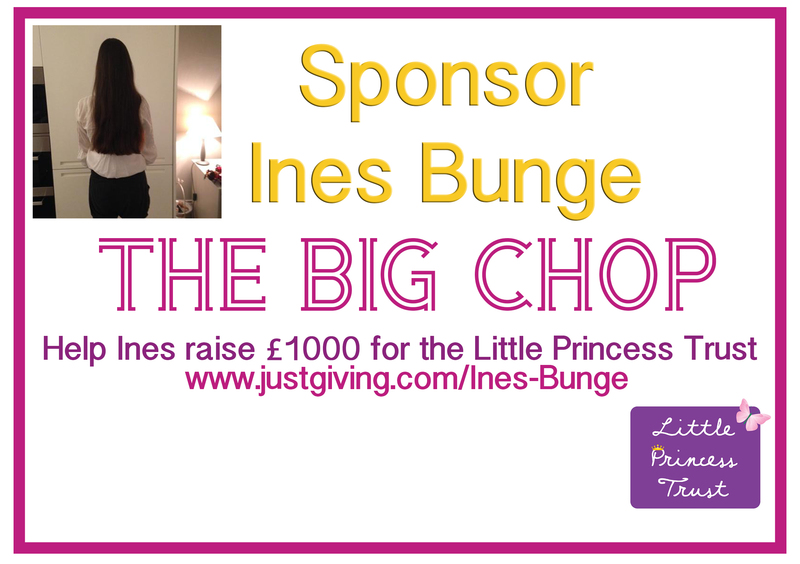 On Monday 27th January 2014, Ines Bunge will be donating most of hair to the Little Princess Trust, an organisation which provides real-hair wigs, free of charge, to boys and girls that have lost their own hair through cancer treatment and other illnesses. To help our very own Josephine March (Little Women) raise her target of £1000.00, she needs your total support, so please give generously and join Ines in achieving her goal. God gave me the gift of having wonderful hair and wanted to donate some of my hair to those children who have lost theirs through cancer treatment. I got inspired by seeing movies with children loosing their hair and realised what a horrible disease cancer is. I am a very lucky person with beatiful hair, a nice family and I am very healthy. I wanted to do something in return to those who aren’t as lucky as me and I will be cutting my long hair so they can do some wigs with it. Even one pound will help me. I’m sure it will put a smile on a child’s face once they recieve their wig. Please visit http://www.justgiving.com/Ines-Bunge for more details on how to donate.